In 1977, Alex Lidow, a physicist and the Chief Executive Officer of Efficient Power Conversion based in El Segundo, California co-invented the silicon based transistor known as MOSFET (metal-oxide-semiconductor field-efficient transistor). It is the most commonly used transistor for amplifying or switching electronic signals today mostly in digital and analog circuits. This device is hugely popular in power supplies, washing machines and many others. MOSFET hold an advantage over the regular transistor when it comes to power usage. It runs on less than 1mA and can deliver higher load. Over the years the founders have improved the technology and today the use of metal in the name is a misnomer due to use of polysilicon which was introduced in 1970s instead of metal, aluminum. Digital integrated circuit including microprocessors and memory devices contains many thousands of MOSFET transistors. It functions as the data gate, switching thousands of watts and power amplifiers. Many public address systems and sound related equipment use MOSFET. The same inventor is now discovering a faster, safer and much less power hungry transistor based on gallium nitride which may soon replace the old MOSFET. 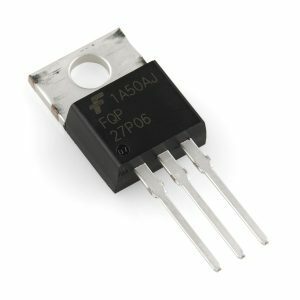 The leading supplier of MOSFET is the International Rectifier founded by the inventor’s father and grandfather. Today the device cost about 17 cents.